Wildlife documentary series. 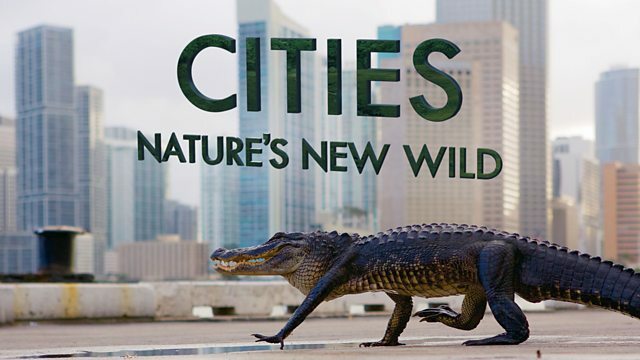 Cities may seem unlikely havens for wildlife, but for animals able to adapt, the urban world is filled with opportunity. The world's cities are growing at a faster rate than any other habitat on the planet. And while most of us imagine them to be concrete jungles devoid of nature, for animals of all shapes and sizes they are just a new habitat filled with new and surprising opportunity. With similar needs to humans, these wild animals face similar challenges, and like us, if they play their cards right, they can find everything they need in the city. With the natural world shrinking, and our urban centres continuing to grow, adapting to life in the city has never been more important. This first episode examines what it takes for these wild residents to thrive in the newest and fastest changing habitat on the planet. From smooth-coated otters at home in Singapore and huge colonies of megabats in Adelaide to reticulated pythons living on the streets of Bangkok, experience our cities through fresh eyes - the eyes of the animals that live in them, and discover a wilder side to a world we think we know.